England's Ashes debutants face a baptism of fire in Thursday's opening test at the Gabba, where four years ago the tourists' batsmen crumbled under an Australian short-pitched bowling assault. 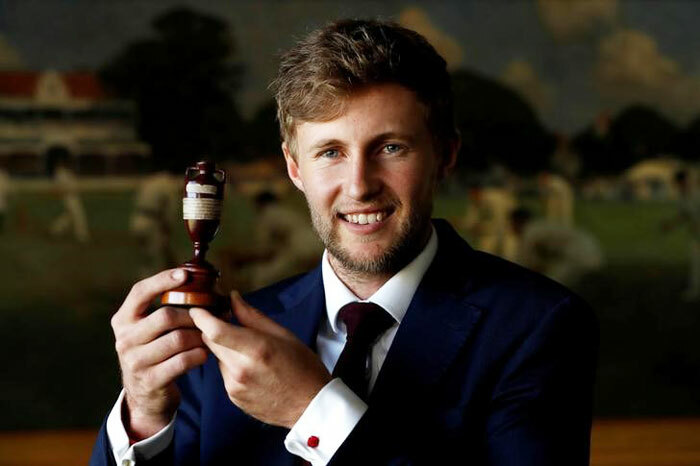 Joe Root's team spent their final tour match in Townsville last week trying to acclimatise to the muggy conditions that will greet them in Brisbane but few of the players will have any inkling of the challenge that awaits them. The 'Gabbatoir' has proved impregnable to visiting teams for nearly 30 years, with its willing pitch, stifling weather and hostile crowds adding up to one of the world's tougher introductions to a test series. Only Root, former skipper Alastair Cook, Stuart Broad and James Anderson remain from the England team that suffered a 381-run hiding at the Gabba in 2013/14, when a marauding Mitchell Johnson took nine wickets and set the tone for the series. The rest of the side, and particularly their inexperienced batsmen, face a big step up after preparing against weak tour sides on tepid pitches far from Brisbane. "It’s a tough wicket to come and start a series on, especially when you’re not playing on wickets or having practice wickets like that," former Australia quick Ryan Harris, one of the victors at the ground four years ago, told Reuters. "Obviously we don’t let them play anywhere near Brisbane (in the lead-up) for that reason." Once out on the field, the bear-pit atmosphere of a packed crowd can quickly become foreboding. The wrap-around terraces at the bowl-like stadium create an impression of being hemmed in and stifle any breeze that might relieve the players as they labour in the soupy heat of a Brisbane summer. "You get the humidity as well at this time of year, which drains you," said Harris, who played much of his domestic cricket at the ground for Queensland in the Sheffield Shield. "Especially out in the middle of the Gabba, it always seems to be a bit hotter." Bad things seem to happen to England in Brisbane. Four years ago, an ailing Jonathan Trott was dismissed cheaply in both innings amid a barrage of bouncers from Johnson and the Australian quicks. He promptly left the tour with a stress-related illness. In 2006/07, England fast bowler Steve Harmison famously sent the first delivery of the series to his captain Andrew Flintoff at second slip. England lost the match and the series 5-0. Another England quick, Simon Jones, also had a first day to forget at the Gabba when he ruptured knee ligaments sliding to retrieve a ball in the outfield in the 2002/03 series. He was abused by spectators as he lay in agony and the injury ended his series. Nasser Hussain's team lost the match by 384 runs and the series 4-1. England have not won at the Gabba since Mike Gatting's team in the 1986/87 series and it may be no coincidence that the last time they held their own at the Gabba in 2010/11, they went on to win the Ashes. Cook's brilliant, unbeaten 235 in the second innings, a record, ensured a draw that galvanized Andrew Strauss's team at the start of their 3-1 series triumph. The innings also stands as testament that the Gabba can punish the bowlers as much as the batsmen and should provide some inspiration for Root's team, even with the odds squarely against them.